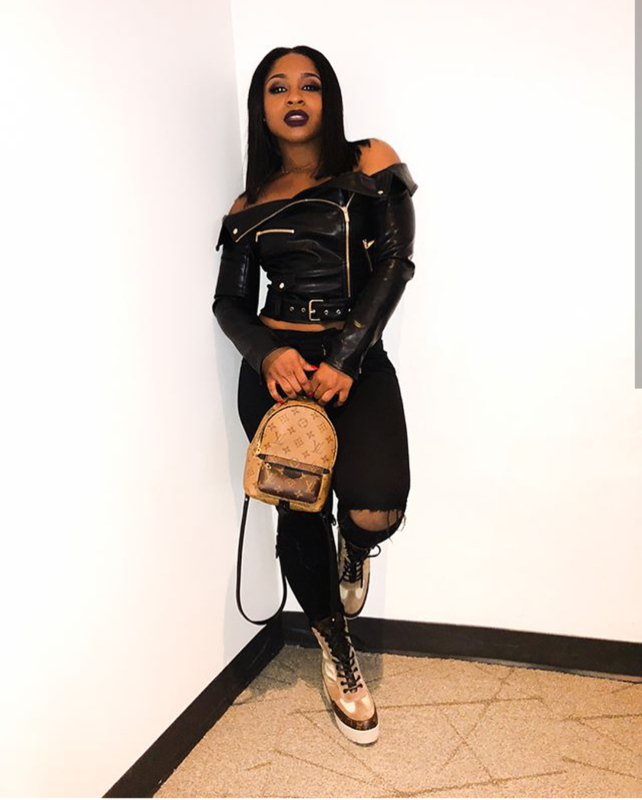 Ok GLOWERS LaLa and Reginae Carter both styled and profiled on the gram slaying in similar all-black looks with ripped jeans. 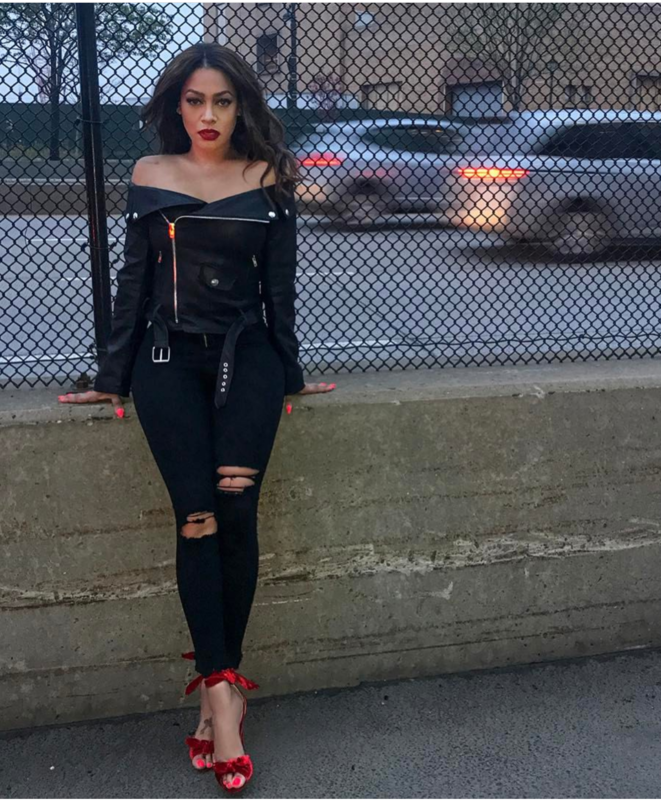 LaLa’s off-the-shoulder moto jacket is from Fashionnova while Nae’s version is from House of CB. Nae kept it casual yet daring with an LV bag and platform ankle boots. YOU know I have to ask… who wore it better?! This entry was posted in Fashion and tagged Bish Stole My Look, fashionnova, house of cb, lala anthony, Reginae Carter, who wore it best, Who Wore It Better?. Bookmark the permalink.